As Minister of Public Safety, I am pleased to present to Parliament the Canada Border Services Agency's (CBSA) 2016–17 Departmental Results Report. Over the course of the past year, the CBSA has maintained a high standard of service to Canadians and made significant and valued contributions to many of our Government's top priorities. To support our economy and help encourage growth for the middle class, the CBSA has made notable enhancements to its Trusted Traveller and Trusted Trader programs, improving processing times and launching a trilateral arrangement with the U.S. and Mexico. These measures are designed to ensure Canadian citizens and industry can prosper in co-operation with our most important regional partners. In particular, Canada/U.S. relations remain singularly important to Canada's public safety and economic well-being. The CBSA has had a prominent role in keeping this partnership strong. On the legislative side, a bill was introduced in Parliament in 2016–17 to expand preclearance in both Canada and the U.S., to include all modes of transportation. Bill C-23, An Act Respecting the Preclearance of Persons and Goods in Canada, is designed to enhance trade while ensuring the integrity of our border and protecting the rights of Canadian travellers bound for the U.S. The Agency has also performed to a high standard on its immigration mandate. Understanding that diversity is Canada's strength, the Agency has played a central role in welcoming refugees from around the world. This important humanitarian work has required a coordinated effort across government. The CBSA's participation has been key to its success. Finally, in its most fundamental duty to protect Canadians' security, the CBSA continued working to ensure threats are identified before they enter Canada through increased and innovative use of intelligence and data analytics. In addition, the Agency worked side-by-side with federal partners to implement the new Canadian Drugs and Substances Strategy to counter the opioid crisis and its harms upon Canada's families and communities. As Minister of Public Safety, one of the most important responsibilities I have is to oversee the protection of our national border. I am pleased to confirm that throughout 2016-2017, the CBSA went above and beyond the demands of its important mandate. Canada is well-served by the fundamental strength and integrity of the Agency and its employees. Unveiled the next generation Primary Inspection Kiosks (PIK) at Ottawa's MacDonald Cartier International Airport in March 2017, with launches at other airports planned in the future. Upon arrival, travellers can use PIK to verify their travel documents, confirm their identity and complete an on-screen declaration. When fully implemented, PIK will replace Automated Border Clearance kiosks and support the phasing out of the paper-based E311 declaration card. Launched the Agency's CanBorder mobile application in May 2016 to improve the traveller experience by helping people plan and make better-informed decisions. The application is available on all major mobile phone platforms, including iPhone, Android and Blackberry. Announced $138 million to implement the new National Immigration Detention Framework. This includes new Immigration Holding Centres (IHC) in Surrey, B.C. and in Laval, Quebec; a refurbished Toronto IHC; and awarding a contract for enhanced medical services at the Toronto IHC. Launched the Interactive Advance Passenger Information (IAPI) project which identifies and prevents improperly documented or prescribed persons from boarding flights to Canada as well as identifies travellers who may present admissibility concerns before arrival at a Canadian airport. IAPI also works to validate the new Electronic Travel Authorization (eTA) requirement as developed by Immigration, Refugees and Citizenship Canada (IRCC). Worked to keep handguns and other firearms out of Canadian communities by seizing over 300 undeclared and 246 prohibited firearms. The Agency also helped keep Canadian communities safe by stopping over $404 million in illicit drugs from entering the country, as it completed over 18,000 illicit drug seizures – nearly double the number of seizures over 2015–16. The CBSA provides integrated border services that support national security priorities and facilitate the flow of people and goods across the border. In our increasingly volatile global environment, the CBSA faces complex challenges to its work of safeguarding Canada's people, economy and infrastructure. In addition to these responsibilities, the Agency must also adapt and implement new technologies and other tools to facilitate the shifting volumes of legitimate travellers and goods that cross Canada's borders. Terrorism on the global stage continues to be a significant concern for Canadians. Daesh remains the greatest terrorist threat globally – the group includes a large military in Iraq and Syria, and a large number of foreign terrorist fighters abroad, including a number of Canadians. The conflict in Syria is in its seventhFootnote ii year, and the United Nations estimated in March, 2017 that more than 250,000 people had been killed, six million displaced and 13.5 million people were in urgent need of humanitarian assistance inside Syria. This dire situation has implications for the protection of Canada and Canadians, and for Canada's response to the needs of displaced people. Since late 2016, Canada has seen an increase in the number of asylum-seekers and irregular border crossings, and emerging patterns indicate that more migrants are arriving from the U.S. Under a current agreement with the U.S., Canada generally does not allow refugee claims from within the U.S., designating that country a "safe third country", and as such many asylum-seekers have taken significant risk to find alternate ways of entering Canada. The CBSA has, and continues to, work with law enforcement and immigration partners to enforce Canadian laws while upholding Canadian values. In addition to working with its international partners on security concerns, the CBSA also works with international and domestic partners to expand and secure Canada's commercial trade. New trade agreements such as the Comprehensive Economic and Trade Agreement (CETA) between Canada and the European Union, as well as the forthcoming re-negotiation of the longstanding North American Free Trade Agreement (NAFTA) that was signaled during 2016-2017 will require the CBSA to prepare for new or amended trade compliance requirements. The CBSA is also addressing Government of Canada priorities for reducing economic and social harms presented by transnational organized criminal activities, including the illicit drug trade. Opioid fatalities, particularly those linked to fentanyl, have increased in Canada over the last four years. Suppliers often conceal fentanyl powder in silica packages or in commercial and industrial goods shipped by regular air mail or by courier. Detection of such opioids and other contraband requires a nimble operating environment that the Agency can adjust as necessary to match shifting traveller and commercial shipment patterns. The 146% increase in postal shipments since 2008-2009 could introduce new threats in this stream. Serving the changing needs of current and future legitimate travellers and trade interests also places changing and new demands on the CBSA. For example, after years of steady increases reached a peak in 2012-2013, highway traveller volumes have steadily decreased, and are forecast to continue declining into the next decade. At the same time, air traveller volumes have been increasing year-over-year, and this trend is expected to continue. The growth of on-line shopping is also expected to drive a continuing increase in postal and courier shipments. In this dynamic context, the CBSA continuously monitors shifting security, economic and humanitarian factors, and assesses its operations to ensure that the Agency's strong foundation remains agile as it addresses future challenges and opportunities. The risk that individuals/groups with links to terrorism, or materials to support terrorist activities, will enter, exit, or transit Canada. The risk that commercial quantities of contraband will enter or transit Canada. Collaborate with industry to build, outfit and staff two new Marine Container Examination Facilities (MCEF), including deployment of new detection tools and procedures, to increase examination capacity. The risk that plant pests, invasive alien species, unsafe food, and/or plant and animal diseases will enter Canada. Collaborate with industry to build, outfit and staff two new MCEFs, including deployment of new detection tools and procedures, to increase examination capacity. Along with other western nations, including Canada's international security partners, Canada has been identified as a target by extremist organizations, including Daesh. Identifying and tracking individuals involved in terrorist activities is key to preventing terrorist attacks. To support bilateral border security commitments between Canada and the United States, the Agency implemented its IAPI initiative. This enabled the CBSA to enforce, effective November 2016, IRCC's mandatory eTA requirement for visa-exempt foreign nationals flying to Canada. By enabling the CBSA to issue "board and no-board" messages to commercial air carriers, the IAPI expands the existing Advance Passenger Information/Passenger Name Record (API/PNR) Program by identifying and minimizing the risk of improperly documented persons from boarding flights to Canada. This advances the CBSA objective to "push the border out" by preventing persons who do not have prescribed documents authorizing their entry to Canada to travel to the country in the first place. Further to significant progress in securing the air traveller continuum, the CBSA is modernizing its detection capacity in other travel and cargo modes. In addition to stopping transit of restricted items and other contraband that could be used by terrorist entities, the CBSA works to prevent criminal organizations from exploiting other importation avenues, including the marine mode. In November 2016, the Port of Vancouver began construction of a new Marine Cargo Examination Facility (MCEF) at Roberts Bank expected to be completed in May 2018. Lessons learned from a Vancouver pilot focused on modernization of the commercial marine examination process will be applied to projected future MCEF work. Importers in all modes are also required to use eManifest technology to transmit ACI to the CBSA. In fiscal year 2016–17, there were close to 10 million electronic manifests filed in the highway mode. Despite some delays to the necessary updates and changes to existing systems to fully implement eManifest, improvements to risk assessment tools used at the National Targeting Centre (NTC) will enhance contraband detection capacity at ports of entry during 2017–18. Dangerous FPA commodities can cause considerable economic and ecological harm to Canada. The variable oversight capacity of export countries shipping high volumes of cargo increases the risk to Canada. Through the ongoing eManifest work, the CBSA has continued to expand the number of options available to commercial clients to transmit ACI. The Agency will support this work by ongoing collaboration with the Canadian Food Inspection Agency to ensure that emerging FPA risks are recognized and addressed. The Risk Assessment program "pushes the border out" by seeking to identify high-risk people, goods and conveyances as early as possible in the travel and trade continuum to prevent inadmissible people and goods from entering Canada. This benefits the travelling public and the trade community by enabling the Agency to focus its examination and interdiction activities on high-risk people and goods, thereby facilitating the entry of low-risk travellers and goods. The Agency uses a variety of threat and risk assessment methodologies, intelligence and supporting technologies to identify potential risks to the security and safety of people and goods. A Gender-Based Analysis was conducted for the eTA expansion to Bulgaria, Brazil and Romania in 2016–17. It noted the potential for minimal, if any, gender and diversity impacts due to the design of the eTA process and the eligibility characteristics. For example, applications for, and issuance of temporary resident visa are comparable for males and females in Bulgaria and Romania, while Brazilian males apply for and are issued more visas. In 2016, the CBSA implemented the IAPI initiative in the air mode and IRCC's eTA became mandatory for all visa-exempt travellers to Canada. The eTA is a new mandatory travel requirement for visa-exempt foreign nationals who fly to, or transit through a Canadian airport. Based on traveller and flight information, IAPI identifies and prevents improperly documented or prescribed persons from boarding flights to Canada as well as identifies travellers who may present admissibility concerns before arrival at a Canadian airport. The top 65 air carriers in Canada as well as 98% of all commercial air carriers have implemented the system, and the CBSA is now issuing "board/no-board" messages prior to flight departure. In partnership with IRCC, the Agency entered into an Implementing Arrangement with the United States to enable validation of U.S. non-immigrant visa information, and supported the Government of Canada's commitment to lift the visa requirement on Mexican travellers. In 2016–17, the Agency continued to modernize its tools to manage risks at the earliest point in the trade and traveller streams. eManifest is a transformative initiative that enhances the safety and security of Canada's trade chain by requiring all carriers and freight forwarders in all modes of transportation to electronically transmit ACI to the CBSA. This information increases the CBSA's capacity to provide a pre-arrival risk determination of goods arriving in Canada while minimizing processing required at the border, streamlining the clearance process and reducing border congestion. This year's efforts provided the Agency enhanced business reporting tools that allow us to better contextualize the commercial environment thereby allowing better insight into operational realities. In 2014–15, Canada and the European Union (EU) entered into an agreement on the processing of PNR data which outlines the rules and conditions for transferring protected PNRs between European air carriers and the CBSA. Once in place, the agreement will allow the CBSA to receive PNR data before a flight departs for Canada, enabling the Agency to assess and respond to identified threats at the earliest possible opportunity. At the end of 2014–15, the European Parliament voted to refer the agreement to the EU Court of Justice (ECJ) for an assessment of the agreement's compatibility with EU Treaties and the EU Charter of Fundamental Rights. In July 2017, the ECJ determined that the processing of PNR data is not compliant with EU privacy and data protection laws. Canadian and EU officials are expected to review the ECJ's decision and work towards the agreement's compliance and eventual implementation. * The Risk Assessment target is comprised of Lookouts, Intelligence, Security Screening and Targeting identified threats versus resultant outcomes. The ratio (Actual Results) for 2016–17 decreased due to the total number of potential threats identified increasing, while the corresponding results for those potential threats remained the same. The percentage of threats that led to an enforcement action or inadmissibility recommendation continues to be constant. As the Agency looks to replace its Program Alignment Architecture with the Departmental Results Framework, it will review this measure as it does not adequately reflect the successes or areas for improvement, compared to the individual program metrics provided. * The 2016–17 Planned Spending excludes funding received through Supplementary Estimates and TBS central votes such as collective agreements, severance payments, parental benefits and vacation credits. ** The actual spending is higher than the planned spending by $24.8 million mainly due to the revision of the eManifest project planned spending and timelines. While the 2016–17 Planned Spending for the eManifest project was reported under the Risk Assessment, Admissibility Determination and Revenue and Trade Management Programs, the majority of the 2016–17 Actual Spending for the project was reported against Risk Assessment. The remaining variance is attributed to the increase in spending related to funding received in Supplementary Estimates (Responding to the Syrian refugee crisis and Mexico Visa Lift Initiative); and spending reimbursed through TBS central Vote 30. *As noted above the actual number of FTEs is higher than the planned FTEs for the eManifest project and the increase of the full-time equivalents as a result of the incremental funding provided, under Responding to the Syrian refugee crisis and the Mexico Visa Lift initiatives. Through the Secure and Trusted Partnerships Program, the CBSA works closely with clients, other government departments and international border management partners to enhance trade chain and traveller security while providing pre-approved, low-risk travellers and traders with streamlined and efficient border processes. 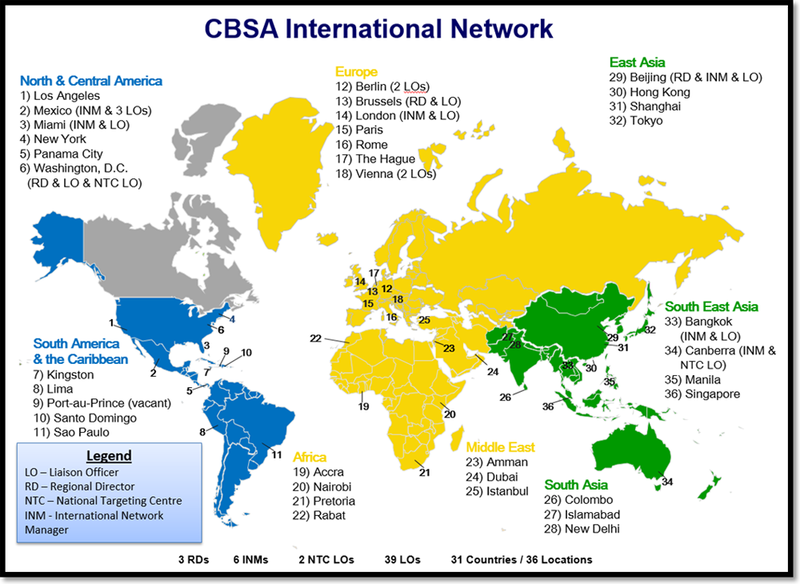 The CBSA develops and administers programs and cooperative agreements with its partners to ensure alignment with international standards (e.g., the World Customs Organization (WCO) SAFE Framework of Standards) and promote best practices in global border management. By increasing membership in trusted traveller and trader programs, the CBSA is able to improve its capacity to mitigate risk in advance and focus examination efforts on identifying travellers and traders of unknown or higher risk. This year, the CBSA made significant strides to enhance the benefits of its Trusted Traveller and Trusted Trader programs. On the Trusted Traveller front, NEXUS interview wait times improved in 2016–17, as the Agency worked with its U.S. counterparts to further reduce wait times at the most affected Enrollment Centres. The CBSA also launched Phase I of a trilateral trusted traveller arrangement with the U.S. and Mexico, which extended NEXUS program eligibility to Mexican nationals. When Phase II is launched in 2017–18, Canadian and U.S. nationals will have the opportunity to apply for the Mexican trusted traveller program, "Viajero Confiable". On the Trusted Trader front, the Agency installed a new dedicated Free and Secure Trade (FAST) lane and booth at the Fort Erie, Ontario point of entry and modified FAST infrastructure at the Pacific Highway, BC, port of entry in February 2017, as part of its commitment to infrastructure enhancement. The CBSA also upgraded its Trusted Trader Portal to support information exchange and the harmonization feature that will enable the roll out of highway carrier harmonization between the Partners in Protection (PIP) program with the United States Customs and Border Protection (U.S. CBP) under the Customs-Trade Partners Against Terrorism (C-TPAT) Programs. In 2016–17, the Agency followed through on its commitment to facilitate trade as it successfully implemented a Mutual Recognition Arrangement (MRA) with Mexico. MRAs are bilateral arrangements signifying both countries apply similar security standards when approving companies for membership in their respective trusted trader programs, allowing both countries to recognize each other's members and grant similar benefits. Negotiations of a MRA with Israel and Australia concluded and signing will take place at the WCO Council Sessions in 2017–18, while MRA negotiations are ongoing with the EU. The CBSA also initiated MRA negotiations with China, which will further enhance the benefits to Trusted Trader program members. Capacity to focus on high-risk people and goods at ports of entry is increased. * Processing time is the time elapsed from the initiation of the licence plate reader until the release/referral decision is entered into the system. ** The Agency will evaluate the appropriateness of the 5 second target. Moreover, recent data integrity issues, caused by system changes to the Integrated Primary Inspection Line (IPIL) related to the installation of the new Primary Inspection Kiosks, have affected the reporting of average processing times for IIL Highway, which are necessary for the calculation of the indicator. As such, the Agency will also review the usefulness of this indicator as a measure against the associated expected result. While there was an increase in NEXUS Highway passages over the last year, it was less than 0.5%. Several of the traditional higher volume ports of entry saw decreases in volume which may have resulted in shorter wait times and faster processing times. Douglas, BC, for instance, had a 5.4% decline. ** The Agency's actual spending is lower than its planned spending by $4.9 million. Planned Spending included a frozen amount for the funding in support of Trusted Programs. This funding was not accessed in 2016–17 therefore not spent, as some of the Trusted Traveller and Trusted Trader initiatives required additional time to be completed. * Actual Full-Time Equivalents were higher than Planned primarily due to a realignment among programs subsequent to the production of the 2016–17 Report on Plans and Priorities. The CanBorder mobile application released in May 2016 uses border wait time data, geolocation and mapping services to improve the border experience for travellers and is available on all major mobile phone platforms, including iPhone, Android and Blackberry. 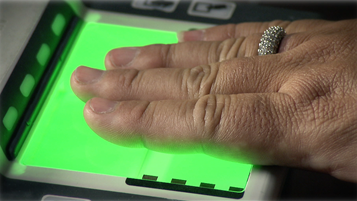 Since March 2017, upon arrival at major airports in Canada, 57% of travellers have used a next-generation PIK to verify their travel documents, confirm their identity and complete an on-screen declaration. 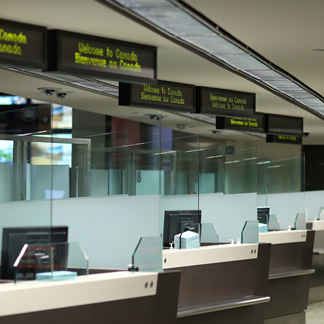 Those looking to save more time can complete their declaration in advance using the CanBorder - eDeclaration mobile application and scan their quick response (QR) code at a kiosk upon arrival. Since its release in March 2017, the eDeclaration App has been downloaded over 80,000 times. Through the Admissibility Determination program, the CBSA develops, maintains and administers the policies, regulations, procedures and partnerships that enable BSOs to intercept people and goods that are inadmissible to Canada and to process legitimate people and goods seeking entry into Canada within established service standards. In addition, the Agency develops, maintains and administers the policies, regulations, procedures and partnerships to control the export of goods from Canada. In the traveller stream, BSOs question people upon arrival to determine if they and their personal goods meet the requirements of applicable legislation and regulations to enter Canada. Border services officers will then make a decision to grant entry or refer a person for further processing (e.g., payment of duties and taxes, issuance of a document), and/or for a physical examination. In the commercial stream, carriers and importers are required to provide information to the CBSA at or prior to arrival in Canada. Border services officers review the status of pre arrival decisions and/or the provided accompanying documentation to determine whether the goods meet the requirements of applicable legislation and regulations to enter Canada. Based on this determination, a border services officer may refer the goods for further processing, examination and/or scientific/engineering analysis. Upon further examination goods may be seized, released or penalties imposed. With some exceptions, all goods being exported from Canada must be reported "in writing" to the CBSA. In 2015–16, a Gender-Based Analysis was conducted on the collection of biometric information from permanent resident applicants and payment of associated fees. Payment of the $85 (CDN) fee may present a financial hardship, and may have a disproportion impact on women. These issues will be addressed through eligible fee exemptions, and limiting collection to once every ten years. In support of the Minister's mandate letter commitment to keep handguns and other firearms out of Canadian communities, over 300 undeclared firearms and a further 246 prohibited firearms – were seized over the course of the year. The CBSA's Detector Dog Service was involved in the seizure of 71 (or 13%) of those firearm seizures. The CBSA also addressed the threat of narcotics smuggling throughout 2016–17, completing well over 18,000 seizures of drugs worth more than an estimated $404 million. To better facilitate travel and trade between Canada and the United States, legislation was introduced in Parliament in 2016–17 that will enable the expansion of preclearance in both Canada and the U.S., in all modes of transportation: land, rail, marine and air. Preclearance strengthens economic competitiveness by expediting the flow of legitimate travel and trade while ensuring perimeter security and border integrity as travellers and goods are pre-cleared before leaving the country. Bill C-23, An Act respecting the preclearance of persons and goods in Canada and the United States, received first reading in the House of Commons and seeks to implement the Agreement on Land, Rail, Marine and Air Transport Preclearance between the Government of Canada and the Government of the United States. Among other things, it ensures that Canadian travellers bound for the U.S. are protected by the Canadian Charter of Rights and Freedoms, the Canadian Bill of Rights and the Canadian Human Rights Act. The Agency also advanced a number of key legislative changes necessary for the Entry/Exit initiative. For example, the CBSA introduced proposed amendments to the Customs Act in June 2016 that, once passed in Parliament, will allow the collection of information on all travellers exiting the U.S. and entering Canada, and to share the information with the U.S. Conversely, the U.S. will share information on travellers exiting Canada and entering the U.S. with the Government of Canada. The CBSA welcomed over 93.1M travellers to Canada in 2016–17. Canada's private boater reporting requirements have been the source of ongoing complaints, requiring boaters to report to the CBSA every time they enter Canadian waters. By contrast, in the U.S., boaters must report their arrival to U.S. CBP only if they have docked at a foreign port or have had contact with another vessel in foreign waters. In order to address these concerns, and streamline these reporting requirements to more closely align with U.S. policies, the Conveyance Presentation and Reporting Requirements Modernization Act was introduced in Parliament in December 2016. In February 2017, the Act received second reading in the Senate (and attained Royal Assent in July 2017). This Bill will provide reporting exceptions for persons on board conveyances that move into and out of Canadian waters without landing, anchoring, mooring or exchanging any goods or people. In January 2016, the CBSA launched the Remote Traveller Processing (RTP) Pilot for Small and Remote Ports of Entry at the Morse Line, Quebec POE. The RTP Pilot tested the viability of leveraging technology to process travellers remotely at 24/7 access points. By the end of 2016–17, more than 5,900 travellers had been queried and over 3,500 conveyances were processed. The Agency processed over 17M commercial shipments over the year. The Agency continued to onboard other federal government departments under the Single Window Initiative (SWI), a key Beyond the Border Action Plan initiative that simplifies the process for importers to submit import information in compliance with customs and other government regulations by providing them with a single, electronic process. In 2016–17, the Canadian Nuclear Safety Commission and the Department of Fisheries and Oceans were enrolled in SWI. All federal partners are now enrolled and engaged with industry stakeholders to work towards optimizing the use of the Single Window approach. In response to the growing opioid crisis in Canada, the new Canadian Drugs and Substances Strategy led by Health Canada was launched in December 2016. As part of the Strategy, Bill C-37 was introduced to Parliament to amend the Controlled Drugs and Substances Act, the Customs Act, and the Proceeds of Crime (Money Laundering) and Terrorist Financing Act. Bill C-37 proposes to prohibit the unregistered import of pill presses, and remove the exception currently placed on border service officers to only open mail weighing more than 30 grams, officers could therefore open international mail of any weight, should they have reasonable grounds to suspect the item may contain prohibited, controlled or regulated goods, including opioids such as fentanyl. The Bill received Royal Assent in May 2017. People and goods who are inadmissible to Canada are intercepted at ports of entry. ** The Agency's actual spending and actual FTEs were lower than its planned spending and planned FTEs by $53.6 million and 454 FTEs, respectively. The majority of the variance is related to the revision to the implementation timelines associated with IT and Infrastructure major projects. The resulting surplus will be reinvested in the remaining development activities of those projects. Under the Criminal Investigations program, the CBSA protects the integrity of border-related legislation and contributes to public safety and Canada's economic security by investigating and pursuing the prosecution of travellers, importers, exporters and/or other persons who commit criminal offences in contravention of Canada's border-related legislation. CBSA investigators review potential border legislation violations and gather evidence using a variety of investigative techniques, including search warrants, production orders and digital forensic analysis. These violations include criminal offences under the Customs Act, Immigration and Refugees Protection Act (IRPA), various food, plant and animal legislation, and other border-related legislation. In conjunction with the Public Prosecution Service of Canada, the CBSA pursues the prosecution of individuals or business entities who violate Canada's border-related legislation. In 2016–17, the Agency exceeded its targets for the Criminal Investigations Program. 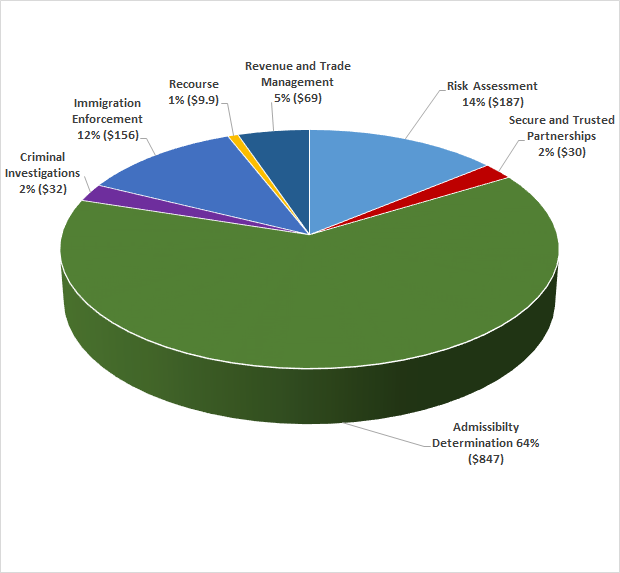 Over the course of the year, 685 CBSA criminal investigations associated with border-related criminal offences were opened, with an 86% conviction rate. In support of its enforcement and intelligence activities, the Agency formally rolled out an enhanced Investigator in Training course and issued the Digital Forensics Investigations policy to provide direction to officers responsible for digital forensic examinations to ensure consistency, accountability and to ensure that activities are lawfully conducted. In the five months since the "Foundations of Criminal Investigations" course has been fully available, 55 investigators have been trained. The Agency also continued to work with its partners in the criminal justice system, including the Department of Public Safety and Emergency Preparedness, to ensure that the Canadian Victims Bill of Rights was fully integrated into criminal investigations of IRPA offences. The Agency undertakes ongoing work with its portfolio partners regarding the monitoring and handling of victim complaints, as well as supporting the outreach activities of Public Safety's National Office of Victims. To date, the CBSA has received no complaints with respect to the Canadian Victims Bill of Rights. * Actual Full-Time Equivalents were lower than Planned primarily due to a realignment among programs subsequent to the production of the 2016–17 Report on Plans and Priorities. The Immigration Enforcement Program determines whether foreign nationals and permanent residents who are or may be inadmissible to Canada are identified and investigated, detained, monitored and/or removed from Canada. Foreign nationals and permanent residents of Canada believed to be inadmissible are investigated and may have a report written against them by a CBSA inland enforcement officer. Depending on the type of inadmissibility, the merits of the report are reviewed by either a Minister's Delegate or an independent decision maker at the Immigration and Refugee Board of Canada (IRB) where a CBSA hearings officer represents the Minister of Public Safety and Emergency Preparedness. Subsequent to this review, a removal order may be issued against the foreign national or permanent resident in question. Removal orders issued against refugee claimants are conditional and do not come into force until the claim against the removal order is abandoned, withdrawn or denied by the IRB. The CBSA is responsible for investigating, detaining, and removing foreign nationals and permanent residents found to pose a threat or be inadmissible to Canada. In 2016–17, the Agency enhanced its enforcement capacity and advanced key policy proposals, such as supporting the lifting of the visa requirement for Mexican nationals and advancing the National Immigration Detention Framework. In 2016–17, the Agency also concluded close to 21,000 investigations into possible IRPA inadmissibility and enforced over 7,500 removals. Over the course of the year, the CBSA negotiated readmission arrangements with Jordan, Kazakhstan and Cuba to ensure the timely issuance of travel documents, and to clearly outline protocols and procedures, in order to increase the Agency's ability to enforce removal orders. Negotiations with China also took place in 2016–17 and are ongoing. Through consultation with stakeholders, the Agency set up temporary processing areas in 2016–17, developed operational plans and reallocated resources to areas that were the most impacted by irregular migration. By implementing these strategies the Agency, in conjunction with our partners, was able to better manage the flow or irregular migrants seeking asylum in Canada. 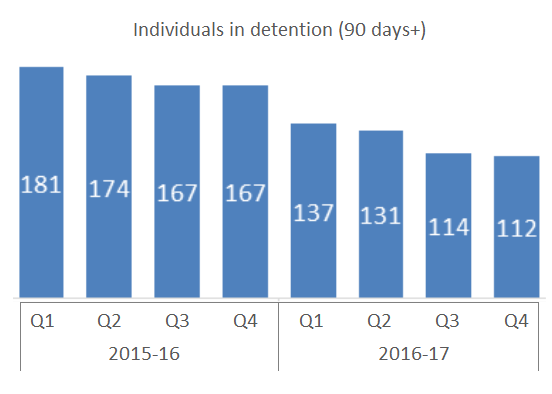 As anticipated, under the National Immigration Detention Framework the number of individuals remaining in detention for more than 90 days decreased further in 2016–17. Also, in 2016–17 the Agency advanced, finalized and implemented various immigration enforcement policies which supported amendments to the Immigration and Refugee Protection Regulations. This included regulations to strengthen the Ministerial Relief application process, which is applicable to those who are inadmissible on grounds of security, certain human or international rights violations grounds, and on organized criminality grounds. The regulations were developed and came into force on March 10, 2017. In addition, miscellaneous amendments to improve clarity, consistency, and address several concerns raised by the Standing Joint Committee for the Scrutiny of Regulations were also developed and came into force on June 13, 2016. Finally, in 2016–17, the Agency finalized policy development to underpin a regulatory amendment proposal that will establish prescribed conditions for security inadmissibility cases as committed to in the Horizontal Evaluation of the Immigration and Refugee Protection Act Division 9 / National Security Inadmissibility InitiativeFootnote iii. Balancing the Agency's goal to treat all people with the utmost respect and dignity with the safety and security of Canadians, high-risk individuals seeking entry into Canada may be detained. To further this goal, in 2016, the Government of Canada announced an investment of up to $138 million to implement the new NIDF, to design and construct new IHCs in Surrey, BC and Laval, QC. The CBSA also began refurbishing the Toronto IHC in 2016–17 and awarded a contract for the provision of enhanced access to medical services at the Toronto facility. In addition, the NIDF will expand partnerships, develop risk-based national policies on key issues such as minors in detention, enhance alternatives to detention as well as strengthen accountability and transparency. * Foreign nationals that pose a safety or security concern remain the Agency's top priority. The remaining inventory includes cases that recently entered the working inventory and/or cases where impediments have recently been resolved, not allowing sufficient time to enforce removal prior to fiscal year end. The remaining cases in the inventory are being processed for removal. The high priority indicator is based on all (high risk) individuals, including criminals and threats to national security, regardless of a claim being made or not. A contributing factor is that High Priority Foreign Nationals with impediments to removal are increasing in the inventory and that the cases in the inventory are more complex. ** In 2014–15, under the Immigration Enforcement Program, the Agency focussed its efforts on supporting major legislative reforms and regulatory amendments to protect Canada's immigration system. The Agency obtained approval for measures to improve the removal of foreign offenders, strengthened Program governance and clarified officers' roles during an examination of refugee claimants. ** The actual spending is higher than the planned spending by $27.8 million partially due to the realignment of the Protection of classified information in immigration proceedings (Division 9) Program spending. The original planned spending for Division 9 was associated to Risk Assessment, however, the actual spending was mainly under Immigration Enforcement which better aligns with the initiative core responsibilities. 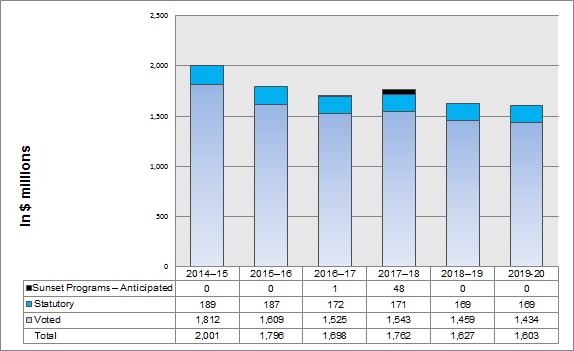 The remaining variance is attributable to the increase in spending for funding received in Supplementary Estimates (Strengthening the National Immigration Detention Framework and Mexico Visa Lift Initiative framework) and spending reimbursed through TBS central Vote 30. The Recourse Program provides the business community and individuals with an accessible mechanism to seek an impartial review of service-related complaints, program decisions and enforcement actions taken by the CBSA. This program ensures that their decisions are fair, transparent and accurately reflect the Agency's policies and the Acts administered by the CBSA. Individuals can complete a written submission if they disagree with an enforcement action or a program decision made by the CBSA or wish to submit a complaint or compliment about services. Clients are provided with a timely acknowledgement of their correspondence, before CBSA officials conduct a thorough review, taking into consideration the legislation administered by the Agency, CBSA policies, the client's point of view and, where necessary, technical opinions from CBSA experts or legal advice from the Department of Justice. Individuals who are not satisfied with the CBSA's review can appeal to the appropriate court, tribunal or external review body. The Recourse Program also facilitates the review of external complaints of discrimination filed with the Canadian Human Rights Commission and assists the Department of Justice representing the Agency on appeals to the Federal Court, various tribunals and other external bodies. The CBSA moved further towards a single-window for redress in 2016–17 by integrating all Special Import Measures Act (SIMA) appeals and Trusted Traveller Program appeals within the Recourse Program. This provides a more consistent and streamlined appeal process for CBSA clients. Integrating the totality of Trusted Traveller Program appeals within the Recourse Program has increased appeal volumes substantially, and, as a result, established performance indicators and targets were not met this past year. However, given that volumes have stabilized, a return to previous performance levels is expected in 2017–18. Despite the significant increase in volumes, the CBSA has improved on its rate of upheld and overturned cases. In 2015–16, 64% of commercial appeals were upheld and 33% were overturned, compared to 67% upheld and 24% overturned in 2016–17. Similarly, traveller appeals rates improved over 2015–16, with the percentage of upheld appeals rising from 55% in 2015–16 to 69% this past year, while the percentage of overturned cases fell from 22% to 12% over the same period. On April 1, 2016, the Agency began using the Recourse Content Management System for enforcement appeals, which was designed to modernize and better manage the Program's information holdings and to transition to a paperless environment. The Agency is committed to ensuring that its information management systems remain current, while continuing to explore sustainable and cost-effective solutions. * This fiscal year our performance was slightly compromised due to additional business lines that were absorbed by the Directorate; however, the target was met in fourth quarter of 2016–17 with 92% of appeals being acknowledged within 10 days raising the overall total to 80% for this year. Provided that volumes remain stable, and resources are maintained, performance should also be maintained at Q4 levels. ** The Agency has seen volumes significantly increase from 2,372 appeals in 2015–16 to 4,301 this fiscal year, representing an 81% increase. Given that volumes appear to have stabilized, and it appears that resource levels will not be further decreased in the coming year, we expect to return to previous performance levels. In addition, Recourse will take part in the Program Data Forum working group in July 2017 to discuss service standards and to ensure that they take into consideration the additional business lines that the Recourse Directorate has absorbed. *** Performance continues to be impacted by high volumes, file complexities, and ongoing court challenges. Trade Appeals Service Standards and associated targets are currently being reviewed in collaboration with our stakeholders to ensure that they are meaningful to Trade community clients, and at the same time are measurable, realistic and achievable. They are expected to be published in the CBSA's 2018–19 Departmental Plan. The Agency's actual spending is lower than its planned spending by $1.5 million mainly due to challenges with staffing shortfalls under the Recourse program. The Revenue and Trade Management Program administers international and regional trade agreements and domestic legislation and regulations governing trade in commercial goods. The Program ensures that appropriate trade data is collected and that the duties and taxes owed to the Government of Canada are remitted in accordance with Canadian trade laws and import requirements. Commercial importers must accurately report on their goods at the time of importation, and remit the required payment, or self-correct their entries, and pay any additional amounts owing, when they have reason to believe that trade-related reporting errors have occurred. Following the implementation of the Accounts Receivable Ledger in 2015–16, the Agency progressed to Phase II of the CBSA Assessment and Revenue Management (CARM) initiative, an innovative system intended to strengthen financial controls and reporting by streamlining the assessment and collection of revenue from importers. In partnership with Public Services and Procurement Canada (PSPC), the CBSA released a Request for Proposal to select a vendor partner for the design, implementation and ongoing technical operational support of CARM. The Agency expects to award a contract to the successful bidder in the fall 2017. In addition to improving revenue collection, the CBSA contributes to Canada's prosperity by working to protect the Canadian economy. The Agency provides assistance to Canadian producers who face unfair foreign competition from dumped or subsidized goods in the Canadian marketplace by carrying out its obligations under the SIMA. In 2016–17, the CBSA used the redress mechanisms contained in SIMA to protect over $8.4 billion in Canadian production and safeguard almost 38,000 Canadian jobs, an improvement over the 36,787 jobs and $8.26 billion protected in 2015–16. The Agency also collaborated with the Department of Finance to advance proposed legislative amendments to the SIMA, as part of the commitments contained in Budget 2016. The CBSA conducted targeted trade compliance verifications related to tariff classification, origin, valuation and trade incentives, resulting in the assessment of $157 million in duties owed. The Agency worked closely with the U.S. CBP to combat anti-dumping and fraud in 2016–17, including Operation Steel Border, a joint project where both countries verified imports of steel plate subject to anti-dumping duties. In response to the June 2016 Anti-dumping and Countervailing Evaluation ReportFootnote iv, in 2016–17 the Agency committed to implementing three recommendations: strengthening information sharing with the Canadian International Trade Tribunal (CITT); improving transparency and demonstrating consistency to external stakeholders; and enhancing the tracking, recording and reporting of key program activities. As of March 31, 2017, the Agency has substantially implemented the second recommendation, and has fully implemented the first and third recommendations by signing an information sharing Memorandum of Understanding with the CITT and re-evaluating its performance indicators. ** While the Agency's target was exceeded in 2016–17, during the year the CBSA only completed 104 random verifications compared to 487 in 2015–16, as it was focusing its resources on targeted verifications. ** The Agency's actual spending is lower than its planned spending by $10.8 million partly due to the realignment of the Single Window Initiative Program spending. The original planned spending was associated to Revenue and Trade Management; however, the actual spending was mainly under Admissibility Determination which better aligns with the project core responsibilities. The remaining variance is attributed to the realignment of the Program spending for the eManifest project as previously described under Risk assessment. The CBSA worked throughout the year to modernize border infrastructure. In this regard, the Agency advanced the Land Border Crossing Project, a Public-Private Partnership initiative to modernize a portion of the CBSA's custodial ports of entry and geared up to launch the first phase of the procurement process. The Agency also continued to actively support the Windsor Detroit Bridge Authority who issued a Request for Proposals to select the private-sector partner to deliver the Gordie Howe International Bridge project through a Public-Private Partnership arrangement. In 2016–17, the CBSA made significant progress in modernizing the information technology tools that front line officers need in their day-to-day operations. The Agency worked closely with Shared Services Canada to procure the software and hardware needed to enhance the CBSA's server capacity, with a view to fully implementing this software and hardware by June 2017. For example, 54 points of service were equipped with WiFi to support handheld devices for BSOs. In addition, six (6) licence plate readers were deployed in 2016–17, with an additional 15 to be issued by 2018–19. In response to the CBSA Information Management (IM) Internal Audit and Office of the Comptroller General (OCG) – Horizontal Internal Audit of Information Management in Large and Small Departments, the IM Program produced a number of products designed to support Agency personnel in meeting their roles and responsibilities for the management of information. In 2016–17, the Agency continued its work on its Strategy to Support Mental Health and its People Strategy. Over the year, the Agency developed a space on its internal communications network to provide employees with tools, videos and resources on well-being and organizational wellness, as well as self-assessment quizzes and information on where to seek help. It also introduced two mandatory training courses for all employees on raising mental health awareness and creating respectful workplaces. By the end of 2016–17, 9,291 and 11,756 employees have taken the mental health awareness and creating respectful workplaces courses respectfully. The Agency also continued delivering its Mental Health First Aid training to frontline staff and began rolling it out to executives. The training provides staff and executives with increased awareness of signs and symptoms common to mental health problems and improves their ability to assist individuals in crisis or experiencing a mental health problem. The CBSA recognizes that linguistic duality is at the core of our Canadian identity. During the year, the Agency made progress in welcoming Canadians and people entering Canada in both English and French. The Agency increased the amount of bilingual officers working at Canada's borders by prioritizing recruitment and training in offices where a bilingual capacity gap has been identified through past experience and historical data. To ensure that current and future managers get the training required to develop and maintain bilingual capacity, the Agency designated all supervisory positions in specified bilingual regions as requiring proficiency in English and French, without exception. ** The Agency's actual spending is higher than its planned spending by $45.4 million as a result of a) higher-than-expected spending on IT and Legal services provided by external entities; b) to support new initiatives which received funding in Supplementary Estimates (Responding to the Syrian refugee crisis, Mexico Visa Lift Initiative; the Canadian Port of Entry at the Gordie Howe International Bridge; and for the 2017 Immigration Levels Plan); and c) the spending reimbursed through the TBS Central Vote 30. * The 2016–17 Planned Spending excludes funding received through Supplementary Estimates and Treasury Board of Canada Secretariat's (TBS) central votes such as collective agreements, severance payments, parental benefits and vacation credits. In 2016–17, the Agency's appropriation through the Main Estimates increased by $254.9 million. Of this amount, a $200 million increase through Supplementary Estimates was attributed to the following initiatives: 1) funding for integrity of Canada's border operations; 2) funding for the strengthening of the National Immigration Detention Framework; 3) funding to maintain and update federal infrastructure assets; 4) funding for the 2017 Immigration Levels Plan; 5) funding to resettle 10,000 additional government-assisted Syrian refugees; and 6) funding for the Canadian Port of Entry at the Gordie Howe International Bridge. In addition to this increase, the Agency also received transfers of $21 million from the TBS central votes for the reimbursement of costs related to severance payments, parental benefits and vacation credits. Lastly, the Agency received $65.1 million of the previous year's unused authorities, as per the Agency's two-year appropriation. The total increase of $286.1 million was offset by $32.2 million attributable to in-year adjustments to the statutory vote. In 2016–17, the Actual Spending was $228 million less than the total authorities, of which $18.6 million lapsed in 2016–17 and the remaining balance of $209.4 million will be made available for use in 2017–18. There are two components to the $209.4 million carry forward amount: $88.9 million which was in a frozen allotment not accessible by the Agency in 2016-17, and $120.5 million which lapsed for several major projects as a result of revisions to their implementation timelines. As part of creating a sustainable organization, the CBSA is undertaking a complete examination of its business to better secure financial sustainability for today and tomorrow. As part of this exercise, a strategy has been developed, in collaboration with central agencies, to assess the CBSA's financial management controls, including how the Agency is organized, its decision models and financial systems. Together with CBSA Renewal, which is a broader, internal exercise to identify opportunities to evolve CBSA's operating model, the examination of CBSA business will help drive the evolution of the Agency's role in border management. In 2014–15, the Agency's Actual Spending was higher due to the one-time severance payouts of $155.6 million, resulting from the ratification and signing of the collective agreement for Border Services Officers (FB classification), and a reimbursement of $39.2 million attributed to the Government of Canada's one-time transitional payment as it moves to a pay-in-arrears pay system. In 2015–16, the Agency's Actual Spending was lower than the previous year mainly due to the one-time severance payouts and the one-time transitional payment of $194.8 million occurring in the 2014–15 as described above. Also, the Agency's unused authority from the previous year (carry forward) decreased by $67.9 million ($143.9 million in 2014–15 and $76.0 million in 2015–16), which contributed to lower expenditures in 2015–16. The decommissioning and transitioning of the Field Operations Support System (FOSS) System to IRCC's Global Case Management System (GCMS) has further decreased CBSA's expenditures in 2015–16 by $10.2 million. In addition, the BTB Action Plan approved funding decreased in 2015–16 and thus the Agency's expenditures slightly decreased by $5.9 million compared to 2014–15. Lastly, the implementation phase of the Arming Initiative came to a close on March 31, 2016, and thus the approved funding and the expenditures decreased in 2015-16 by $4.9 million. The Agency's Planned Spending was further reduced in 2016–17 due to the Budget 2012 Deficit Reduction Action Plan savings of $143.4 million. In 2017–18, the Agency's Planned Spending is expected to increase due to increases in funding for federal infrastructure assets; strengthening the National Immigration Detention Framework; the Canadian Port of Entry at the Gordie Howe International Bridge; and funding for Integrity of Canada's Border Operations. In 2018–19, the Agency's Planned Spending is expected to be lower due to the scheduled completion of several large projects such as the funding to maintain and upgrade federal infrastructure assets and the closing out of BTB initiatives. As part of the new Policy on Results, the Agency continues to move forward with the implementation of the Departmental Results Framework (DRF), reporting at the Program Inventory level will replace the current Program Activity Architecture in 2018–19. Historically, a portion of expenditures were reported under Internal Services which should have been budgeted and charged to other Program activities. The Agency will continue to further review and refine its Internal Services expenditures, through implementation of the new DRF. For financial reporting purposes, the activities of the CBSA have been divided into two sets of financial statements: Agency Activities and Administered Activities. The Agency Activities financial statements include those operational revenues and expenses which are managed by the CBSA and utilized in operating the organization. The Administered Activities financial statements report on tax and non-tax revenues, assets and liabilities administered on behalf of the federal, provincial and territorial governments. One reason for the distinction between Agency Activities and Administered Activities is to facilitate the assessment of the administrative efficiency of the CBSA in achieving its mandate. Total expenses were $84.9 million higher than planned results because planned results were based on authorities available to spend as of December 18, 2015. CBSA received additional authorities that were not included in 2016–17 planned results which resulted in an increase in total expenses. Total revenues were $2.7 million higher than planned results because vote-netted revenues were $2.7 million higher than the $18.4 million as approved by the Treasury Board. The decrease of $24.6 million in total expenses from that of previous fiscal year mainly relates to a $19.4 million decrease in amount paid for indeterminate salaries and a $5 million decrease for Accommodations common services without charge. The increase of $1.3 million in total revenues from that of previous fiscal year mainly relates to a $1.2 million increase in revenues from Nexus fees. The decrease of $50 million in total net liabilities is mainly attributable to a decrease of $30 million in accounts payable and accrued liabilities and a decrease of $20 million in employee future benefits. The decrease of $33 million in total net financial assets is attributable to: i) a decrease of $47 million in receivables from the Consolidated Revenue Fund to compensate payables at year-end; and ii) an increase of $14 million in receivables from the Treasury Board Secretariat to compensate the CBSA's over contribution to the Employee Benefit Plan. The decrease of $17 million in net debt can be attributed to the negative $17 million net cost of operations after government funding and transfers. The increase of $17 million in net financial position reflects the changes in assets and liabilities. Note: The Canada Border Services Agency's administered activities are not subject to produce future oriented financial statements. Therefore, no 2016-17 planned results are presented in this statement. Total revenues reported within the administered activities financial statements were $30.8 billion for 2016–17, an increase of $160 million (0.5 percent) over the total revenues of $30.6 billion for 2015–16. These results are supported by trade data from Statistics Canada which show a year over year increase in imports of 0.4 percent. The total administered assets have shown an increase of 5.7 percent which is attributed to a combination of a slightly increase of the economic activities and the timing of accounts receivables – external parties' collections and deposits to the consolidated revenue fund. The total administered liabilities have shown an increase of 6.1 percent compared to fiscal year 2015-16. The increase in total administered liabilities is mainly attributed to an increase in the accounts payable to other government departments and agencies. 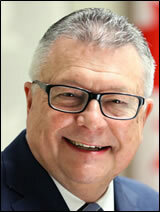 Appropriate Minister: The Honourable Ralph Goodale, P.C., M.P. The CSBA's Strategic Outcome and Program Alignment Architecture (PAA) of record for 2016–17 are shown below. Strategic Outcome: International trade and travel is facilitated across Canada's border and Canada's population is protected from border-related risks. Supporting information on lower level programs is available on InfoBase. The tax system can be used to achieve public policy objectives through the application of special measures such as low tax rates, exemptions, deductions, deferrals and credits. The Department of Finance Canada publishes cost estimates and projections for these measures each year in the Report on Federal Tax Expenditures.Footnote xiii This report also provides detailed background information on tax expenditures, including descriptions, objectives, historical information and references to related federal spending programs. The tax measures presented in this report are the responsibility of the Minister of Finance.